Download "Global Air Ambulance Market 2015-2019"
1 Brochure More information from Global Air Ambulance Market Description: About Air Ambulance Air ambulance services are sophisticated and advanced medical services provided in a mobile environment. These services have become an essential component of the modern healthcare system. The medical critical care transport saves lives as it is an effective way to shift or carry critical patients to healthcare facilities. The air ambulance transport services are used in war-torn regions, during natural disasters, outburst of epidemics and road accidents. 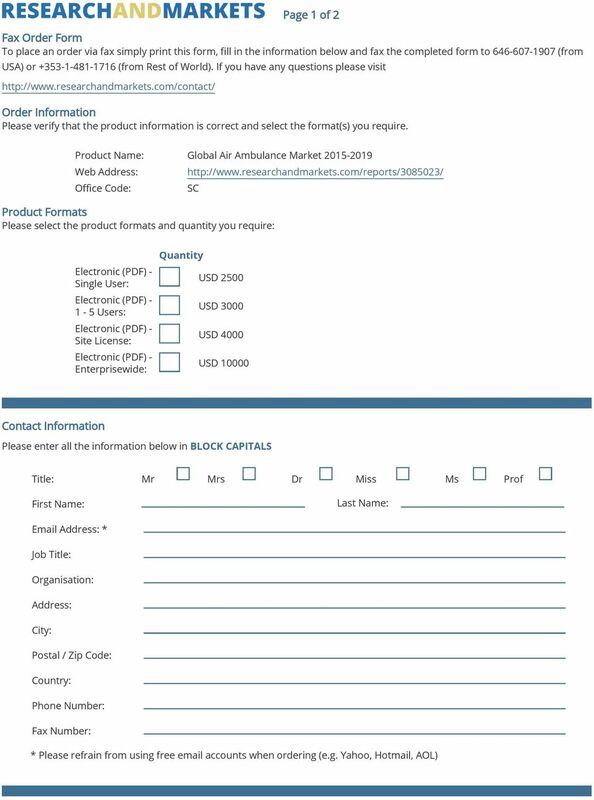 The analysts forecast the Global Air Ambulance market to grow at a CAGR of 9.57 percent over the period Covered in this Report This report covers the present scenario and the growth prospects of the Global Air Ambulance market for the period The market size is based on the medical services provided through air ambulances. 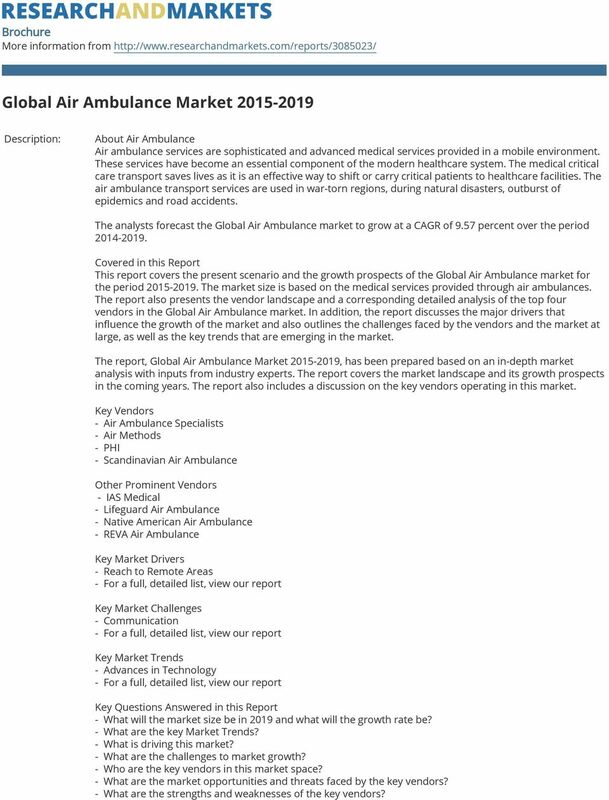 The report also presents the vendor landscape and a corresponding detailed analysis of the top four vendors in the Global Air Ambulance market. In addition, the report discusses the major drivers that influence the growth of the market and also outlines the challenges faced by the vendors and the market at large, as well as the key trends that are emerging in the market. The report, Global Air Ambulance Market , has been prepared based on an in-depth market analysis with inputs from industry experts. The report covers the market landscape and its growth prospects in the coming years. 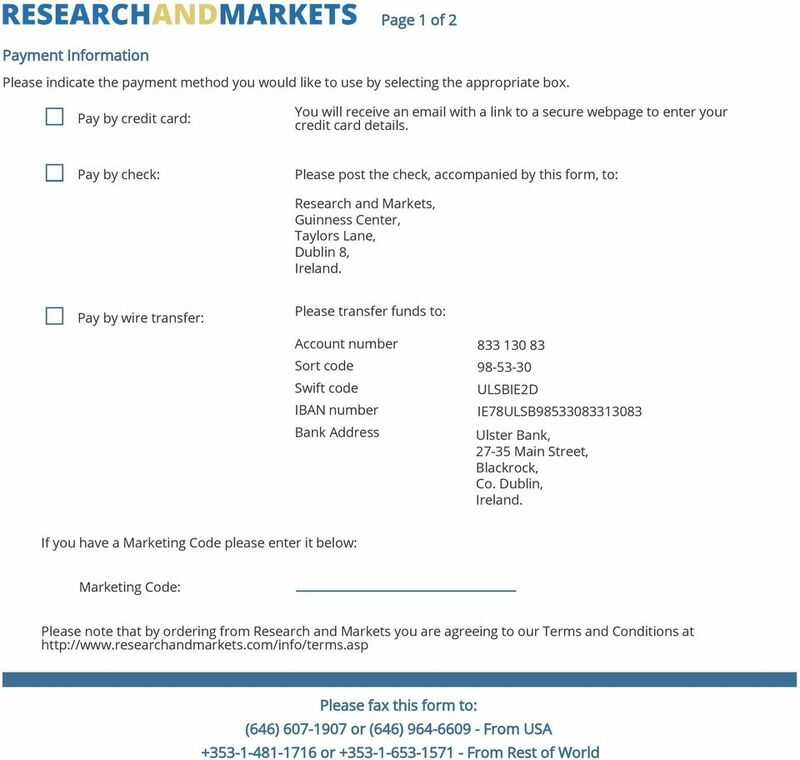 The report also includes a discussion on the key vendors operating in this market. 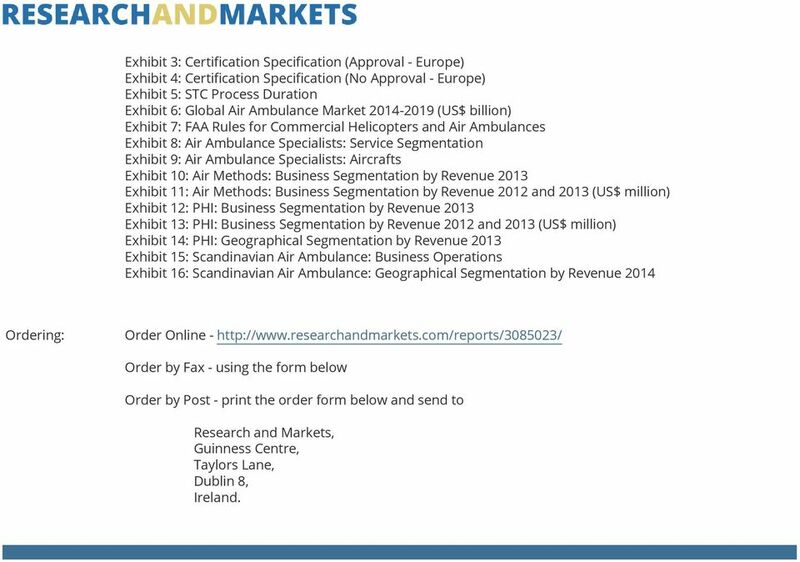 Key Vendors - Air Ambulance Specialists - Air Methods - PHI - Scandinavian Air Ambulance Other Prominent Vendors - IAS Medical - Lifeguard Air Ambulance - Native American Air Ambulance - REVA Air Ambulance Key Market Drivers - Reach to Remote Areas Key Market Challenges - Communication Key Market Trends - Advances in Technology Key Questions Answered in this Report - What will the market size be in 2019 and what will the growth rate be? - What are the key Market Trends? - What is driving this market? - What are the challenges to market growth? - Who are the key vendors in this market space? - What are the market opportunities and threats faced by the key vendors? - What are the strengths and weaknesses of the key vendors? Global Disaster Recovery Services Market 2015-2019.